Shopping, food, movies, gaming arcade, bookstore and a lot more, all under one roof! Head over to the Aeon Mall to have a fun filled and splurge worthy day. Spread across 4 buildings, many first time visitors to the mall claim that they could not explore the entire mall in one day! Different shops and restaurants have different opening and closing timings. Plenty of restaurants and cafes spread across the mall providing a variety of dishes. Love this? Explore the entire list of places to visit in Chiba before you plan your trip. Fancy a good night's sleep after a tiring day? Check out where to stay in Chiba and book an accommodation of your choice. 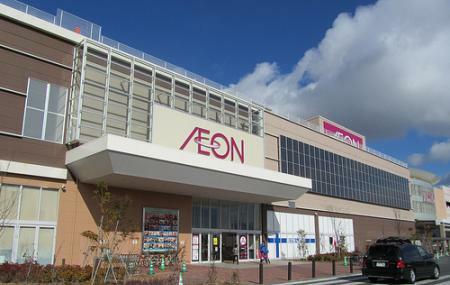 How popular is Aeon Mall? People normally club together Inbanuma and Chiba Marine Stadium while planning their visit to Aeon Mall. It's a good place to hangout but I feel like the food court is limited in terms of good cheap food. The restaurants on the first floor are good, but they all seem to be on the pricier side of things. The bathrooms are good, just like almost all Japanese bathrooms tend to be. Once again the, the bathrooms are spread apart and so you can wander around for a hit trying to find one. This is a nice mall. The grocery is the best in the area. Best in the area, pretty big and have almost everything! very convenient.